Pro-Gun Organization Petitions SCOTUS to Hear a Case Regarding Handguns. Here Are The Details. A federal district court earlier ruled that the interstate handgun transfer ban is facially unconstitutional, which was reversed by the Fifth Circuit Court of Appeals. The Fifth Circuit denied the petition for rehearing en banc by a fractured vote of 8-7. The case is about Andrew and Tracy Hanson of Washington, D.C., who wanted to purchase a handgun from Texas firearms retailer Fredric Mance. They were prohibited from doing so because of the ban on interstate handgun sales. The reason? There are no federal firearms licensees (FFLs) in the District but they can't purchase a gun from another state, like they would for other goods. Federal law bars consumers from acquiring hand-guns outside their home state. 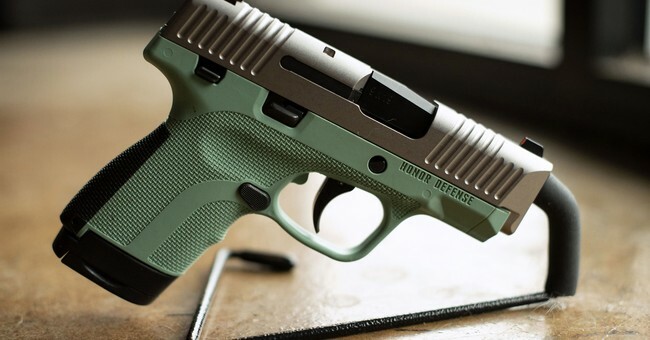 This prohibition limits choice and price competition, and forces many hand- gun buyers to arrange and pay for the handguns’ shipment to in-state federal firearms licensees (“FFLs”). The government theorizes that the prohibition is necessary to combat the circumvention of state and local handgun laws. Yet some jurisdictions allow interstate handgun sales, or preclude the circumvention of handgun laws through retail channels by requiring police authorization for all handgun transfers. Meanwhile, federal law allows FFLs to sell rifles and shotguns to non-residents, so long as they comply with state and local laws. Washington, D.C. residents Tracey and Andrew Hanson sought to buy handguns from Fredric Mance, a Texas-based FFL. The District lacks firearm retailers, but it authorizes interstate handgun sales, and requires that all firearm purchases be authorized by police prior to consumers taking delivery. Reflecting various divisions among the courts of appeals regarding the Second Amendment’s application, the Fifth Circuit divided 8-7 as to whether and how the federal interstate handgun transfer ban is unconstitutional on its face or as-applied to the Hanson-Mance transactions. The question presented is whether prohibiting interstate handgun sales, facially or as applied to consumers whose home jurisdictions authorize such transactions, violates the Second Amendment and the equal protection component of the Fifth Amendment’s Due Process Clause. According to CCRKBA Chairman Alan Gottlieb, whose group is also a plaintiff in this suit, the Hansons have been denied the ability to purchase a firearm because of this ban. “The ban on interstate handgun sales was adopted decades ago, prior to the advent of the National Instant Check System that is now in place. The Hansons have essentially been denied the ability to legally purchase a handgun from a licensed retailer because of this prohibition," Gottlieb explained. "But our case goes to the heart of what appears to be a reluctance in the lower courts to enforce the Second Amendment even now, more than ten years after the landmark Heller ruling and eight years after the McDonald ruling." Gottlieb also pointed out that law-abiding citizens are being denied their Second Amendment rights if they want to purchase a firearm across state lines, similar to other goods. "Citizens can purchase all sorts of other goods across state lines, but why not the one tool that is specifically mentioned and protected by the Constitution’s Second Amendment? That simply defies logic and common sense," Gottlieb said. The lawsuit is being funded by the Second Amendment Foundation (SAF), CCRKBA's sister organization, that specializes in litigating gun-related cases.